Is your iPad mini charging very slowly or not charging at all? It’s not much good to anyone as a portable tablet if you need to keep it plugged it in all the time. 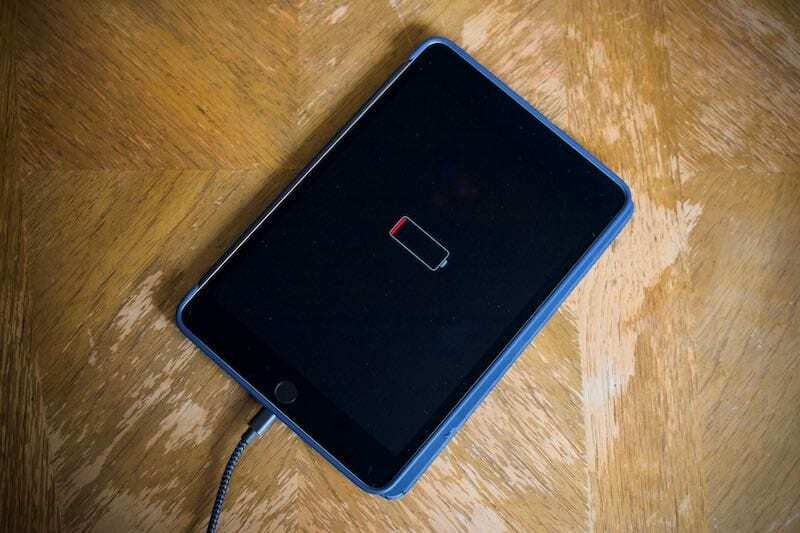 Find out how to tell if your iPad mini is charging correctly and what you can do if it isn’t. You certainly won’t be the first person whose iPad is not charging or won’t charge. But when you’re having trouble, or if your iPad mini says ‘Not charging’, it can be tricky to know what the cause is. Dodgy cables, faulty software, expired batteries. We’ve detailed everything you need to know to diagnose your battery problems below. 1 How do I know if my iPad mini is charging? 2 How long should it take to charge an iPad mini? 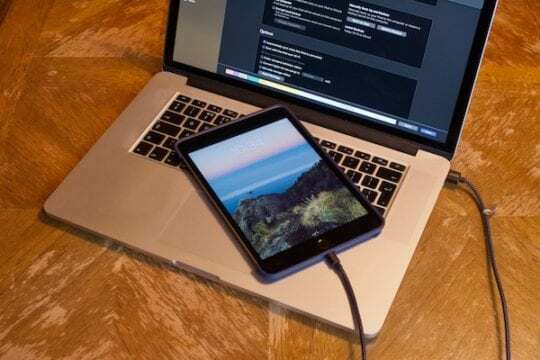 3 How can I make my iPad mini charge faster? 4 Can I charge an iPad mini with an iPhone charger, another iPad charger, or a MacBook charger? 5 How many years does an iPad mini battery last? 6 What can I do to make my iPad mini battery last longer? 7 How much does it cost to replace an iPad mini battery? 8 How do I fix an iPad Mini that won’t charge or turn on? 9 How do I fix an iPad Mini stuck on the battery charging screen? 10 How do I fix an iPad Mini that’s not charging when it’s plugged in? 11 How do I replace the battery on my iPad mini? How do I know if my iPad mini is charging? There are several ways to tell if your iPad mini is charging or not. However, if it was completely dead when you plugged it in, you may need to wait up to an hour before any of them will work. 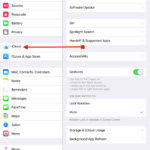 Your iPad will show a Low Power screen if it doesn’t have enough charge to turn on. If this screen also shows a white lightning connector then your iPad mini is not charging. Look out for the subtle difference between the Low Power and Connect to Charge screens. On the lock screen, when your iPad mini is turned on, a large battery icon will appear as it first starts to charge. You’ll then see a charging percentage beneath the date. A large battery should appear on the Lock screen followed by the charging percentage. Finally, the battery icon in the status bar of your iPad mini will have a lightning bolt whenever the iPad is charging. You’ll also be able to watch the battery slowly go up over time. A lightning bolt shows charging. 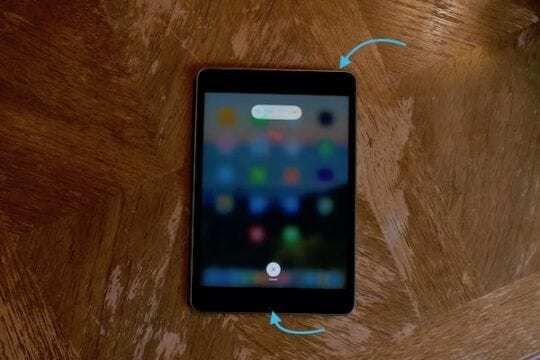 How long should it take to charge an iPad mini? It should take around four hours to charge an iPad mini from 0–100%. However, the exact time will vary based on the quality of your lightning cable, the wattage of your adapter, the age of your iPad battery, and even the ambient temperature of the room! For reference, my iPad mini 4 took about three hours to charge to 100% after it died. How can I make my iPad mini charge faster? There are a few different things you can do to help if your iPad mini is charging very slowly. Update to the latest version of iOS. Use an official Apple lightning cable or make sure yours is certified MFi. Use an official Apple power adapter with the highest wattage available. Don’t use your iPad mini while it is charging; put it to sleep or power it off. Keep your iPad mini at a comfortable ambient temperature, it will stop charging at 80% if it’s too warm. Can I charge an iPad mini with an iPhone charger, another iPad charger, or a MacBook charger? The short answer is: Yes. Generally speaking, the larger the charger the faster your iPad mini will charge. The original iPad mini shipped with a 5 W power adapter, the same ones used for iPhones. However, later models shipped with 10 W adapters leading to a faster charge. If you have a MacBook from 2016 or later you can use its 29 W adapter to charge your iPad mini even faster. Check the wattage of your power adapter. Photo from Apple. Barring the 5 W iPhone adapter, wattage of each Apple power adapter is printed on its side. How many years does an iPad mini battery last? According to Apple, the iPad mini’s battery will retain up to 80% of its original capacity after 1000 full cycles. That means you could go from 100% to 0% charge 1000 times. Or go from 100% to 50% charge 2000 times. So how long is that? Well, it all depends on how much you use it. If you go through a full cycle twice a week, that means your iPad battery should last a whopping 10 years. Dim your screen improve your battery. What can I do to make my iPad mini battery last longer? Apple has a great website with tips for maximizing battery performance across your devices. Turn off Background App Refresh. Set Mail apps to fetch data manually. Turn off Location Services entirely or for specific apps. Reduce the number of notifications that appear on your Lock screen. How much does it cost to replace an iPad mini battery? If your iPad battery drops below 80% capacity during its first year, Apple will replace it for free under their one-year AppleCare warranty. If you have AppleCare+ on your iPad mini that warranty is extended to two years. With AppleCare you’ll benefit from a two year warranty. Apple offers out of warranty battery repair for $99 across all iPad models. What’s more, Apple doesn’t actually repair the battery, they replace your entire iPad for this price. How do I fix an iPad Mini that won’t charge or turn on? Sometimes your iPad mini won’t turn on even after leaving it on charge. When this happens, you won’t see a Low Power screen or a Connect to Charge screen. 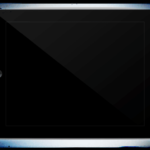 The iPad mini display will simply remain black. To start, make sure that you’ve been trying to charge your device for at least an hour. If there’s still no sign of life, perform a forced restart. You do this by holding the Sleep/Wake and the Home buttons at the same time. Keep them held down until your iPad mini has turned on and restarted itself, which should take about 45 seconds. Hold these two buttons to restart your iPad. Should that fail to revive your iPad there’s a good chance it hasn’t been charging properly. Check out our tips below to fix that. How do I fix an iPad Mini stuck on the battery charging screen? Sometimes an iPad mini sticks on the Low Power screen even when you’re certain it is charging correctly. 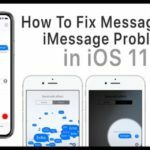 This frustrating issue has been resolved for many users by connecting the iPad to a computer running iTunes. Connect your iPad mini to iTunes if it doesn’t turn on. Doing so either forces the iPad to reboot or allows users to restore it using iTunes. 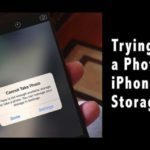 Although you should only do that if you already have a backup of your device. If you’re still having trouble, try these instructions to restore your iPad mini using DFU mode. 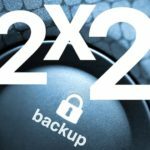 But again, ensure you have a backup before doing so! How do I fix an iPad Mini that’s not charging when it’s plugged in? There are several things that could be stopping your iPad mini from charging, covering hardware and software problems. Follow the steps we’ve outlined below to discover the cause and ease your charging woes. If you can power your iPad mini on, press and hold the Sleep/Wake button until you’re prompted to slide to turn off. Power off your iPad mini and leave it turned off for 30–60 seconds before powering it back on and trying to charge again. Hold the Sleep/Wake button until you can slide to power off. You should also check for software updates to iOS. These frequently patch software bugs that cause battery performance or charging errors. They can also optimize your iPad mini to use less battery power while you’re using it. Make sure you’re running the latest version of iOS. Apple lightning cables are notorious for splitting and fraying. When this happens, they frequently lose their charging ability. But your lightning cable could be the problem even if it doesn’t look damaged. Try charging another Apple device using the same lightning cable, if it works then your cable is working fine. If this doesn’t work, check that you’re using either an official Apple cable or a certified Made for iPhone (MFi) cable. 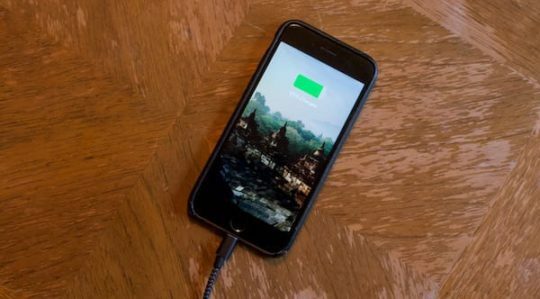 Can you charge other devices with your lightning cable? Alternatively, try charging your iPad with a different lightning cable. If that works then your original lightning cable is probably faulty. If you bought it from Apple it might be covered by their one-year warranty. Once you know the lightning cable works, it’s time to test your power adapter. Start by plugging into a different outlet — and make sure it’s switched on! Then find a different adapter to use. However, know that if your iPad mini shipped with a bulky 10 W adapter, your 5 W iPhone adapter might not be capable of providing enough power to charge an iPad battery. Alternatively, try charging your iPad mini from a computer’s USB port. Again, this is unlikely to deliver enough power to charge your iPad very quickly, but will give an indication as to whether your original adapter is the problem. If your adapter is faulty, you might be able to get it replaced under Apple’s one-year warranty. Shine a light into the lightning port at the bottom of your iPad mini. Look closely to see if there is any build up of lint or dirt inside the port. If there is, this could well be the reason your iPad mini is not charging properly. SIM pin, straightened paperclip, or safety pin. You could also take your iPad to your nearest Apple Store where they’re usually happy to safely clean your lightning port for free. 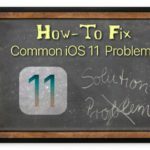 The final troubleshooting step is to restore your iPad completely. Doing so will remove all the data and reset the device back to its factory settings. You should make a backup of your iPad mini first. 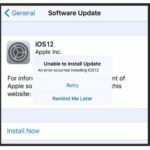 Make a backup before restoring your iPad mini! We suggest a restore using DFU mode as it completely reinstalls the software and firmware on your device. It’s the deepest level of restore possible and will ensure your charging problem isn’t software related. Follow this guide to restore your iPad mini using DFU mode. How do I replace the battery on my iPad mini? After all those troubleshooting tips, if your iPad mini is still not charging correctly you probably need a battery replacement. Unfortunately, due to the seamless design of Apple’s iPad, you can’t replace the battery yourself. Instead, you should book an appointment at an Apple store or at an Apple Authorized Service Provider. These technicians should be able to offer you a replacement iPad for the cost of a new battery: $99. Visit Apple’s Genius bar for hardware support. Did you find out why your iPad mini was not charging? Or what was making it charge slowly? Let us know what happened below! My iPad mini would not charge. At about 3% battery level I eventually tried ‘Reset Network Settings’, and this brought up the charging lightning symbol again, and after a few hours the battery level was 100% again. Thus you may not need to ‘Reset All Settings’. 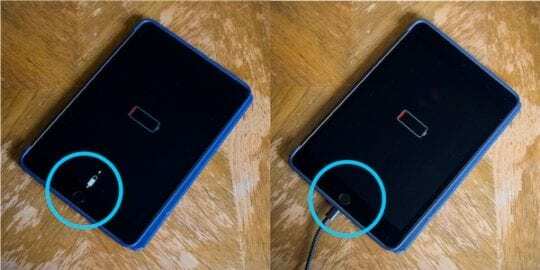 iPad Mini Retina – will not charge correctly. If I turn the plug around enough times, then finally I can get a hot connection to charge. But then often it just sops charging willy nilly. It is so unreliable. What is the problem. The old 30-pin adapter I use on my iPhone 4S and iPad work just fine still. It is a problem with the Lightning Adapter. And Apple should address this problem. I have the mini pad 2 and I have built pc rigs for over 20 yrs , my latest build has the most newest usb compliance with all usb devices yet the mini will not charge on my pc. I don’t believe Apples excuse blaming other peoples hardware. One thing I will note is that out of 3 brand new lightening cables each bought from Apple 2 of them stop charging at less then 90% meanwhile one charges 100% on a new usb charger plug which is also Apple made. I have tested those 2 on other usb charger plugs with the same result while the one works fine and now has me convinced its a Apple flaw! The pc not charging Apple can fix with a simple update but the charging cables need to be inspected better. Heating isses seem to be the common thing for these ipads these days and since their latest ios update I suggest those having the heating issue to not lay it on a flat surface so that it will not overheat. Haven’t had my iPad mini long atall! And it just won’t charge! I have bought a new charger and tried it in a usb and wall plug! It’s fully dead and when I connect it to the charger it still tells me to ‘charge it’ please help! Updated to 8.0.2 and now the IPad mini won’t charge. Hello, my name is Ashleigh. I currently own a first generation ipad mini. I have had it for about 3 years, but I do not know for sure. I have always had very minor issues that were fixable with research. This morning when my iPad was dying, I plugged it in as always. It says it is not charging, but it won’t die when it says %1, which is usually when it begins to fade on me. I tried multiple different plugins, outlets, and computers too, yet it still wasn’t working. I attempted to turn on airplane mode, restart, and it went up to %2 but still doesn’t have the charging symbol. If there are some other ways to try and fix, please let me know. Overall, I have a android smartphone and this ipad mini. I always buy apple for my recreational uses due to the better system, and android for my phone. I have always been very pleased with the two doing their own duties. I am simply having this one small issue. It is a very old iPad mini, so I understand if it’s natural for it to mess up. Responses appreciated, if not have a wonderful day. Plug because I used the charging cord from a full size I-pad and it charged fine. I tried a cheap brand universal cord and a message came up that “Apple does not support the use of this charging device” so the warrenty possabily could be voided, so try a Apple charging cord from a reg size I-pad it worked for mine. I have had no issues charging my ipad mini using the USB port until this week. makes no sense. Nothing has changed with my computer, the ipad still asks me to trust the device and it tells me it’s not charging (it always does that) but now the battery doesn’t turn green as it’s charging. Still charging fine from an outlet but I need to be able to charge from my computer! Help! My Ipad mini refuses to charge from connecting it to the computer to charging it from the wall adapter it came from and another adapter bought new cable and still doesnt work PLEASE HELP!!! we purchased 4 ipad minis and an ipod touch 5 last year, and we only have one charger that still works. That is a lot of money. We tried a belkin charger, that lasted one week. Has Apple replaced any chargers at no cost? Similar problems with my ipad mini…left it on my desk..came back to use it and it was hot and couldn’t get it to come on….been trying to recharge it all day…nothing! Beginning to wonder if buying apple was the right thing to do! My birthday, it’s now Friday 13th June 2014, I recently got and IPhone 5 due to me starting High School both chargers won’t charge my devices it doesn’t even say charging so I have to use my mums IPhone 5s cord is there a way I can fix this problem? What are the settings in this crappy thing that could tell it to not charge from a usb it has been previously charging on? This is why I hate apple its crap I would have solved this if it were an android device or even a horrible windows os hate apple with good reason. Oh utterly useless article by the way I can’t believe you bothered frankly more useful info in Chinese fortune cookies. But exactly what I’d expect from something called apple boa bla. I do believe this was a thread about charging issues with Ipads, not for judgment calls about what people buy their children. Unless you have some helpful information about the topic, keep your personal views to yourself. Mark, you are a real jerk. Sounds to me like you just aren’t able to buy your kids anything nice and educational like an ipad. Don’t be a hater! Well, it’s May 17, 2013 now and the iPad mini is still being sold with the same problem! 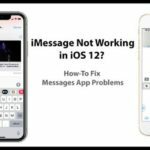 How long does it take Apple to fix something like this? I like the mini a lot, but this charging issue is unacceptable!!! My ipad mini was on charge over other and this morning it was very hot. I tried to switch it on but nothing? Also tired the reset but still not working? Any thoughts? I have a top of the range PC with the latest USB technology and my iPad mini won’t charge off it – I think Apple know there’s major design fault and are fobbing everyone off by blaming on the computer. I’d be interested to know if anyone at all has successfully charged their iPad from a PC – any PC and if so what the spec of that PC was. Returned the mini and got a “real” iPad 4th gen. This is a keeper, so much faster and i like the bigger size now, my eyes don’t hurt from looking at jagged text anymore! I’ll get another mini when the retina version is out. Perfect iPad 5 would be full sized ipad but with the weight and thickness of the current mini, definitely possible in a years time frame given tech advances. I have tried everything you have recommended and my ipad mini is just a few hours old. It refuses to charge. I tried connected it to itunes and it does not get detected. Used it till it died and plugged into the wall with supplied gear. I awoke 10 hours later to a 68% charge reading. Terrible! Also this thing freezes up, is hard read with the low resolution screen and it stutters a lot when in use. Iits a lemon rather than an apple. I am taking this piece of crap back!